Dava Sobel writes about science in a way that young readers and adults alike can enjoy without constantly referring to a dictionary or a science magazine, although I did find having a simple map of our solar system at hand, very helpful. “If reading these pages has helped someone befriend the planets, recognising in them the stalwarts of centuries of popular culture and the inspiration for much high-minded human endeavour , then I have accomplished what I set out to do” A quote from Dava Sobel in The Planets. She could also add: and the inspiration for much romantic poetry. Although I love reading the results of research and discovery the world of science brings us, I am not a science buff and too much science jargon can be confusing. I recommend these books to young readers with enquiring minds and adults who don’t read science publications, because they are enthralling to read and the author takes readers through hundreds of years of brief history with such easy to read, beautiful prose. I have to admit to being a little blasé about planets and space travel; I have enough going on here on planet Earth without stressing about what’s happening on Mars and Mercury. Until I read Dava Sobel’s The Planets, that is! This is not quite a whodunnit, but I couldn’t put the book down once I read the first couple of pages. I learned in those first pages the names of the nine planets and their order of distance from the sun and committed them to memory using Sobel’s “appealing nonsense-sentence mnemonic” … My Very Educated Mother Just Served Us Nine Pies: Mercury Venus Earth Mars Jupiter Saturn Uranus Neptune Pluto …I’m almost ashamed to admit that I didn’t know any of this before reading The Planets. Readers will learn how planets were discovered, how they’re named and in recent years, through remarkable discoveries via satellites, spaceships and research stations, we have gained intricate information about the makeup of planets, and even when and how they were formed. We now know how long they take to orbit the sun, how often a planet rotates on its own axis. The author ventures into mythology and astrology, which adds to the fascinating stories surrounding each planet. Now ‘morning star’, now ‘evening star’, the bright ornament of the planet Venus plays a prelude to the rising sun, or post script to the sunset. – Dava Sobel waxes lyrical about Venus. But Sobel also brings us back to Earth so to speak, with the reality that is planet Venus: …some of her volcanoes may well be active. Right now, sulphurous gases hissing from Venusian fumaroles could be making their way up to the clouds above the planet, to augment them and sustain them, and thereby ensure the enduring brightness of Venus to our eyes. That fair appearance of unassailable purity once made Venus the darling of poets, whose words still best express her effect on the night’s blue velvet – ‘a joy forever’, as Keats said , ‘ a cheering light / unto our souls’. And wash the dusk with silver. A reviewer for the Independent, John Gribbin wrote: ‘If you like your science lyrical, Sobel is the author for you.’ I can assure you though, Sobel knows her science. She is a former science journalist for the New York Times. Sobel informs us that we are very much in a golden age of spacecraft and they are on their way to Mercury, Pluto, and Mars. During her extensive research for The Planets, the thing that was most surprising to Sobel, was the size discrepancy between the Sun and the rest of the planets and she believes that ‘really the Solar System is the Sun’. To be honest, there were many wonderful things that surprised and overawed me while I was reading The Planets! Precise knowledge of the hour in two different places at once-a longitude prerequisite so easily accessible today from any pair of cheap wristwatches-was utterly unattainable up to and including the era of pendulum clocks. On the deck of a rolling ship, such clocks would slow down, or speed up, or stop running altogether. Normal changes in temperature en route from a cold country of origin to a tropical trade zone thinned or thickened a clock’s lubricating oil and made its metal parts expand or contract with equally disastrous results. A rise or fall in barometric pressure , or the subtle variations in the Earth’s gravity from one latitude to another, could also cause a clock to gain or lose time. This is a beautifully crafted story about love, but it never-the-less cleverly leaves so much unsaid. Words like ‘I love you’ are unnecessary and time isn’t always about yesterday, tomorrow or next week …time is a touch, a smile, a smell, each transporting a lover to memories they may want to sink into. By these visceral descriptions the reader gains a clear insight into the thoughts and reactions of the two main characters, Gina and Mark. Mark seems to know intuitively what is on Gina’s mind. Although he lives a very ordered life, and wears an “anti-wedding ring to repel predators”, he is gentle, extremely patient and he loves his dog, Electra. Electra is an intermediary between two people skirting around a love affair that wants so much to happen. It falters and stumbles because of the protective wall Gina has built around herself against the risks of intimacy. We never learn the detail of what has happened to Gina in her past, but you get the gist by her gestures and actions. Mark always seems to understand, lets Gina lead the way, well mostly. His minutely planned inventiveness in getting Gina to say ‘yes’ is surprising, when all she wants to do is to think about ‘it’ for two or three weeks. The style of writing is refreshing, the format quirky. 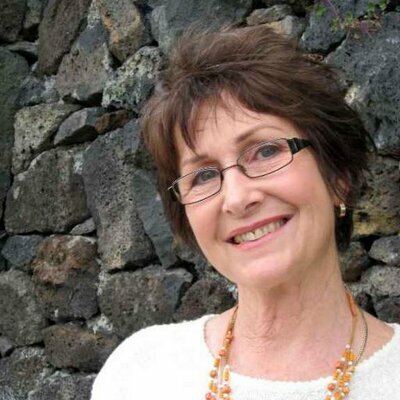 New Zealand author Bronwyn Elsmore puts it all together in a way that allows the reader, from the first few sentences, to know Gina and her foibles well. We come to empathise with her deepest fears, respect why she needs her comfort zones that border on the neurotic. At the same time, her persistent suitor, Mark, manages to steal our hearts. Such a bitter sweet story; funny, heart-breaking, whimsical and endearing. You will find yourself alternatively smiling, tearing up, or sighing, as you turn the pages. my favourite contemporary American poet. I normally shy away from books with a storyline around terminal illness; the emotional trauma, the suffering the illness causes and the despair of friends and family. 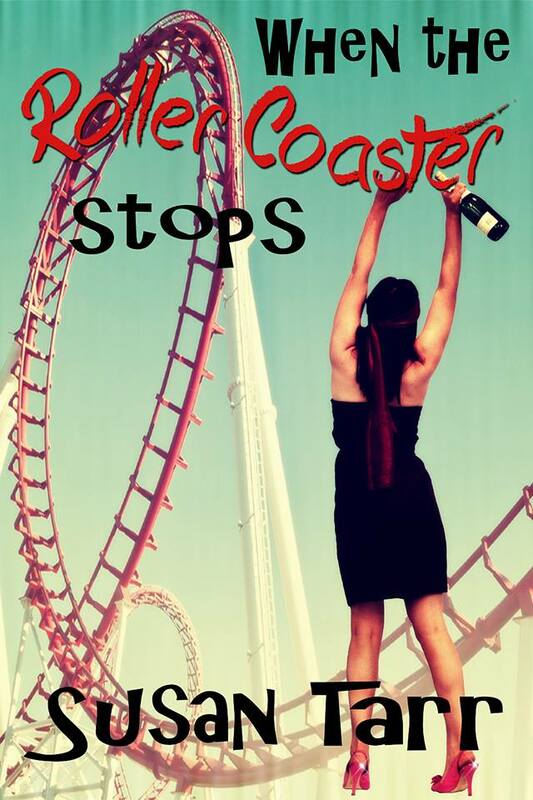 However, Susan Tarr, with her exquisite writing skills, manages to make ‘When The Roller Coaster Stops’ into an adventure full of life, hope and quirkiness. The two main characters, Bethany and Kate, although from very different backgrounds, manage to bring the very best out in each other. Well maybe not in the early stages of their relationship, but certainly towards the end. Frumpy Kate meets stylish, perfectly coiffured Bethany when she is employed by Bethany to clean her luxury apartment. There are so many ‘truths’ here, about personal interactions, ulterior motives, and co-dependency that I marvelled at how expertly the author managed to stay on track to keep the reader transfixed right to the last few words written. Weaving in and out of the two women’s lives, are gay friends, Bethany’s ex husband, and other friends who are not always welcome. There are plenty of tranquil days when the two friends can relax at a beachfront holiday house or lie together in bed talking and sleeping. Contrasted with these days, are the never ending bitchy tiffs between Bethany and Kate, and gay friends, Simon and George. During the different stages of her illness Bethany suffers episodes of depression and self pity which she takes out on soft targets Kate and George. Bethany could be manipulative and positively cruel to those who genuinely cared about her. Even allowing for the subject matter, I thoroughly enjoyed this book from beginning to end. It is essentially a book about the brutal honesty of shared intimacy, human failings, and the untimely interruption of fate. Then again it could very well be interpreted as a story of loyalties in which sacrifices are made for another’s well being, or not. But you know, I think it’s more about a vibrant, once selfish young woman’s terminal illness slowly shrinking her privileged, dazzling world into the confines of her apartment with a handful of people who she finally realises mean everything to her. Like all Susan Tarr’s books, you never know what to expect from one chapter to the next. THE HOSPITAL BY THE RIVER exceeded all my expectations. I have always admired Dr Catherine Hamlin as an Australian heroine. What she has achieved in her lifetime, is a superhuman feat. She believes it was God’s Will. In her book, Dr Catherine Hamlin begins by writing about the family histories and medical backgrounds of both her and her husband, Dr Reg Hamlin, in Australia, New Zealand, and later in the UK. Both came from privileged backgrounds. Intertwined with the Hamlins’ wonderful work saving the lives of hundreds of mothers and their babies in Ethiopia, are expressions of their deep Christian faith, and the comfort it brings them. Even though I am not a religious person, I can fully understand how their faith kept them going through some very difficult and challenging times, not least of all, a dangerous war. The couple sacrificed a great deal in order to build their hospital and bring healing to hundreds of poor Ethiopian mothers and their babies. However, I felt that in following their God’s mission, their only son Richard, also paid a heavy price. Dr Hamlin goes on to detail the travelling and begging the couple had to engage in to bring in funds to keep their dream, and the hospital they had built, afloat. She documents the perfection of surgical techniques used in the repair of fistulae to restore quality of life to their frail, and sometimes, dying patients. Many babies were born dead, sometimes jammed in the birth canal for days, because of protracted labours. Cultural practices mean mothers are made to squat for days during labour causing terrible injuries to their bladders, bowels, and vaginas. Some mothers’ uteri burst with devastating consequences. These injuries leave afflicted mothers with a life lived in misery, unable to control their bladders or bowels. They are abandoned by their husbands and families, left to fend for themselves in filth, and near starvation. The hospital the Hamlins built in Ethiopia, with the help of worldwide financial donations, and the support of powerful Ethiopians, has given hope to thousands of women; more than 90% are fully cured. Those who cannot be cured, perhaps left with minor wounds, are able to live in adjacent hostels within the hospital compound. Some of those who are cured, stay on to be trained as nurses and midwives. Others progress to operating assistants and surgeons. 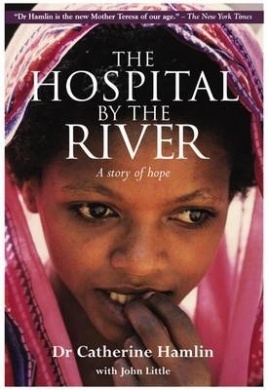 The compelling stories of the lives of long suffering patients are truly heart rending, and yet uplifting, due to the vibrant spirit of Ethiopian women. These brave, often under-nourished women, walk for days, months or years, to get to the Hamlin hospital of hope, where they can have life saving surgery. Be that as it may, I could not but help see the great irony within the pages of this book: The Hamlins, as Anglican Missionaries, worked tirelessly, operating on these poor, rejected mothers with horrific rectovaginal fistulae, mostly caused by giving birth too young, or by being raped. The majority of women they performed surgery on, were of a Christian Orthodox religion which culturally supports child marriages, often girls as young as eight. As an Orthodox priest remarked: “otherwise they will fall into sin like Western women who don’t have children until they are 30”!! So here we have Christian missionary surgeons repairing horrific injuries which another Christian sect, in essence, fully condones! No blame whatsoever attached to husbands or rapists. At the end of the book, I couldn’t help but wonder, in an ideal world, would it not have been wiser and more efficacious for the Christian World to unite, and spend those millions travelling around Ethiopia, educating the men and empowering the women? But then the hallmark of religion has always been more about tradition than visionary reform.